Minister of Investment and International Cooperation Sahar Nasr signed an accord with the Arab Fund for Economic and Social Development over the provision of approximately US $85m during her recent visit to Morocco to chip in the Annual Meeting of Arab Financial Institutions. Nasr affirmed that the contract would fund the establishment of a solar power plant with a capacity of 50MW in Kom Ombo, Aswan. The new plant is part of the governmental programme to boost the energy produced from renewable sources as an alternative of regular plants that rely on fossil fuels, according to the ministry’s press statement issued on Wednesday. The new capacity of energy will aid the nation to carry out the increasing demand without causing any additional pollution. Nasr highlighted the deep relationship and the enduring support between the government of Egypt and the fund, which allocated around $5.25bn to fund a sum of 59 projects, 20 of which are presently under development. Nasr stated that the projects would boost the growth of the Egyptian economy, as well as its social aspects that will perk up the living conditions for a lot of Egyptians. In addition, the minister held a meeting with the director general of the Kuwait Fund for Economic Development, Abdulwahab Ahmed Al-Bader. According to the report, they talked about the fund’s contributions to Egypt through the funding of small and medium enterprises. Both parties decided to center the next wave of funding on the projects that have a social dimension. The signed contracts between Egypt and the Kuwaiti fund are worth US $3bn, which provided funding for 42 projects besides 12 grants worth US $52m. 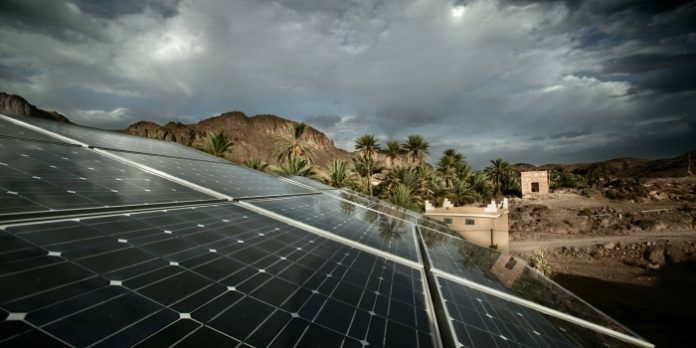 Egypt government seeks to realize the highest level of environmental safety and sustainability in line with the global environmental standards for clean energy generation.